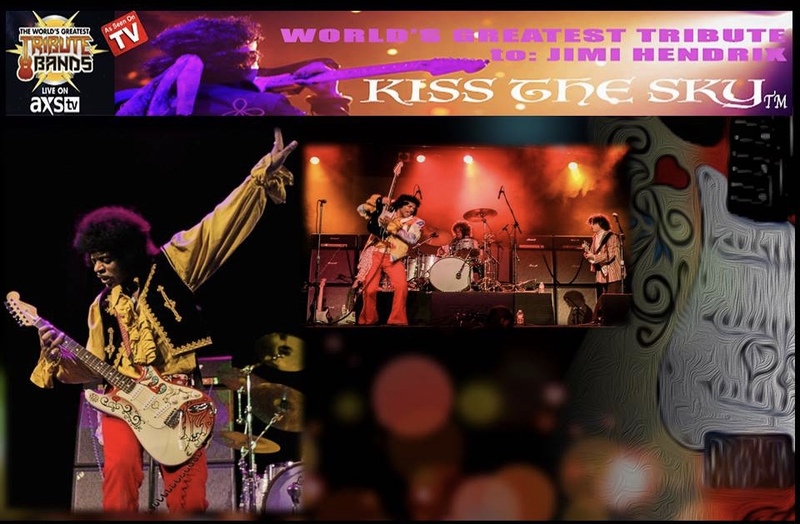 Kiss The Sky-The Jimi Hendrix RE-Experience is the #1 Hendrix act in the world and stars Jimy Bleu the world's preeminent Jimi Hendrix Tribute Artist. Just like Jimi Hendrix, Jimy Bleu is a virtuoso, left handed guitarist and performs all of Hendrix's signature stage moves. He re-creates the patented sounds and moves of Hendrix so well that he has also been a touring member of one of Jimi's Hendrix own bassist's Billy Cox's Band of Gypsys' Experience band. Kiss The Sky's look and sound alike Hendrix musicians perform in fully detailed replica wardrobe and instruments and WOW audiences across the USA. Kiss The Sky is more than a concert. 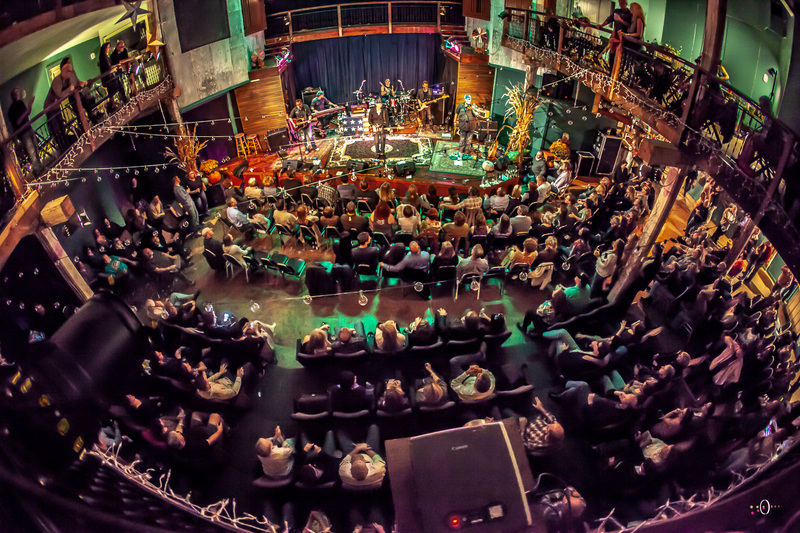 It is a historically accurate, electrifying sensory performance about all phases of the short yet iconic career of Jimi Hendrix including both his band's The Experience and Band of Gypsys. In 2016 Kiss The Sky-The Jimi Hendrix Re-Experience completed their first national USA tour to rave reviews. The tour kicked off with a live TV concert devoted entirely to them on the season finale of the AXS-TV channel show 'The World's Greatest Tribute Bands', broadcast live to 48 million households. Jimi Hendrix Percussionist Gerardo Velez & Woodstock band mate with the Gypsy Sun & Rainbows and Founding member of Spyro Gyra says: "The world knows Jimi Hendrix was in a league of his own and there is no better band that captures the essential Hendrix legacy or a more exact tribute to Jimi than Kiss the Sky! This is my only endorsement of any tribute show and believe me I only give it because I can picture my friend Jimi himself smiling down with approval."